Customers thinking they were buying Romance of the Three Kingdoms VIII for PSP got VII instead. 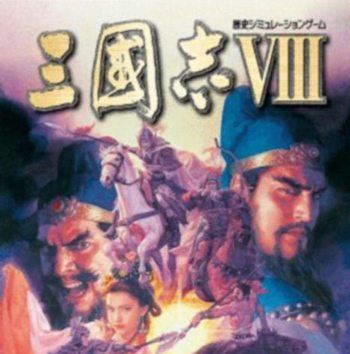 Koei recently re-released Sangokushi VIII (Romance of the Three Kingdoms as the series is called in the West) for the PSP as part of their "Teiban" classics series. At least, they thought they did. The game's box had Sangokushi VIII printed on it, as did the manual and the UMD. What was actually on the UMD however, was Sangokushi VII, if a recent report from Andriasang is to be believed. It's an easy mistake to make; those roman numerals are tricky. Koei has since apologized to users for accidentally selling them the wrong game and has promised to replace the misprinted UMDs with the game they actually ordered. Sales of the title's special edition have been put on hold. While no doubt frustrating to gamers who spent their hard-earned Yen on the game, the gaffe does provide internet snarksters with some cruel chuckles. Sangokushi titles do tend to be rather similar to one another, and many commenters have suggested that Koei's replacement plan actually just involves stenciling an extra "I" onto the game's title.